Each includes clothing, props, poses & more! 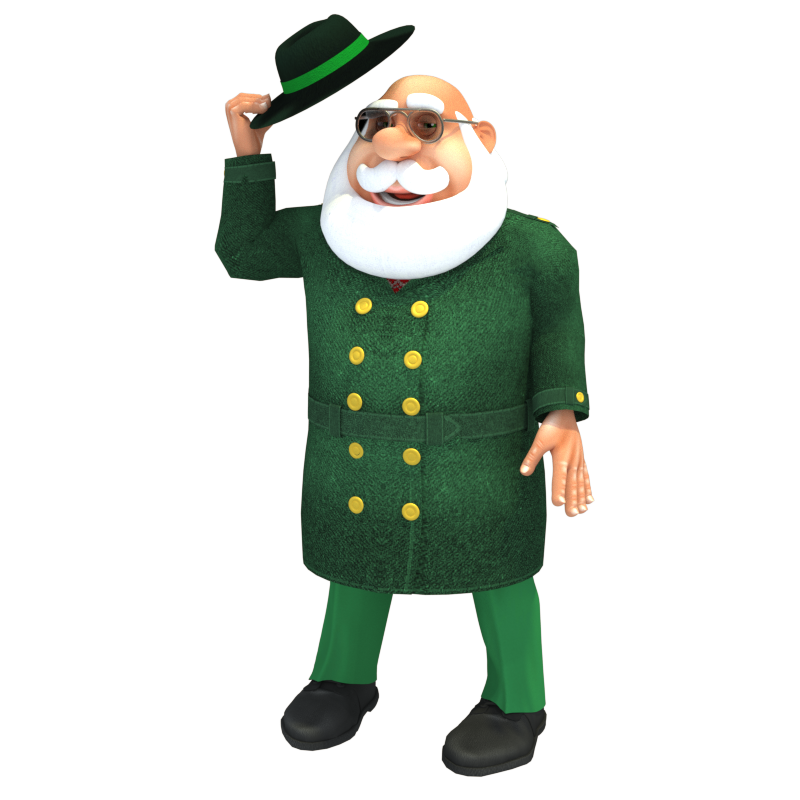 Built on free 3d character from Meshbox Design's ToonPeople team. 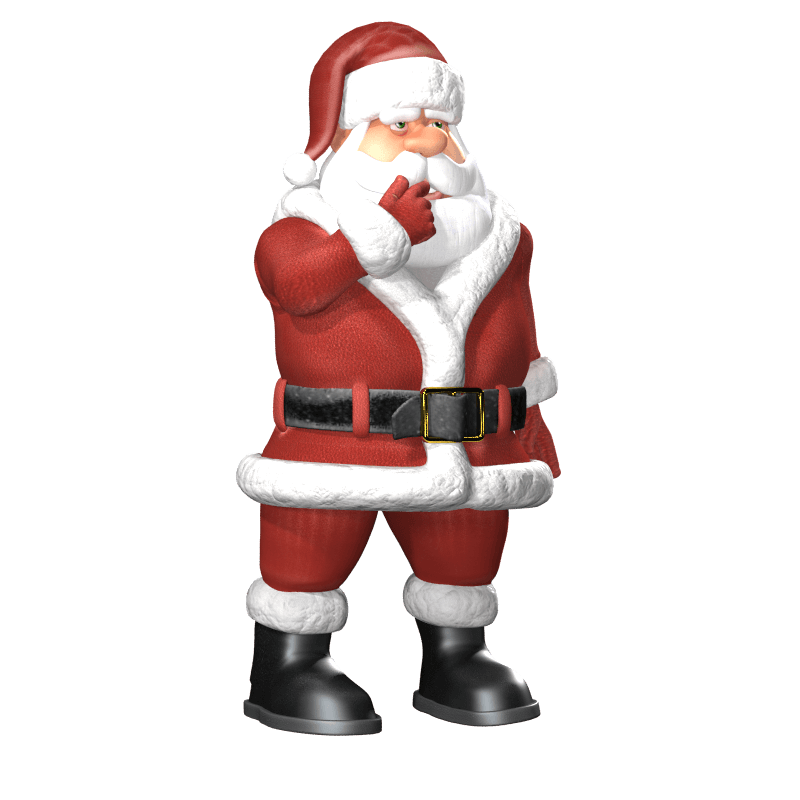 Original Santa in his classic red suit! 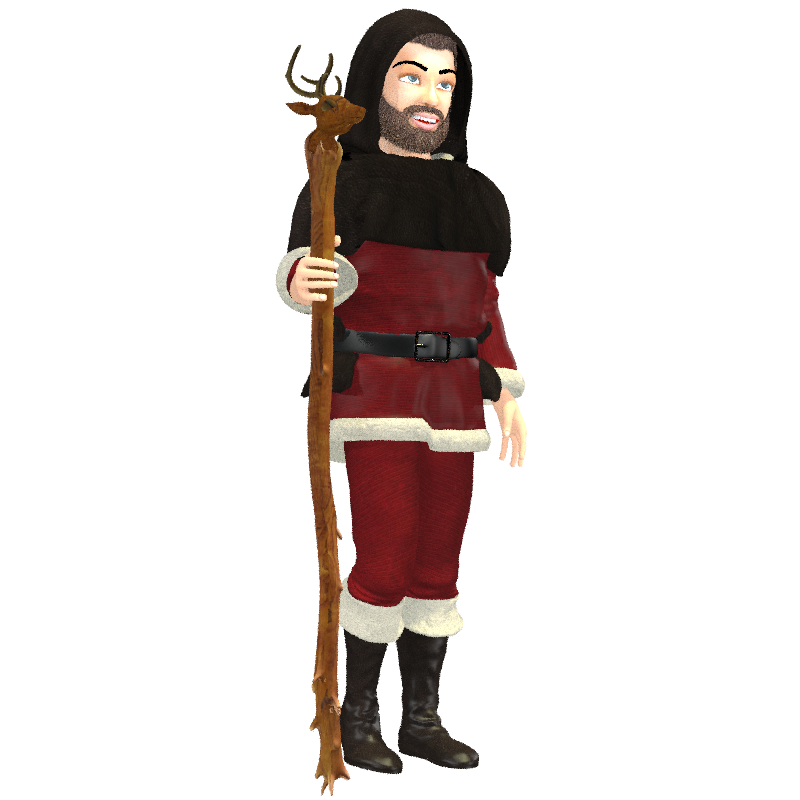 Golden themed King of the North Pole Santa wears this alternative to his red outfit during casual court sessions in North Pole village. 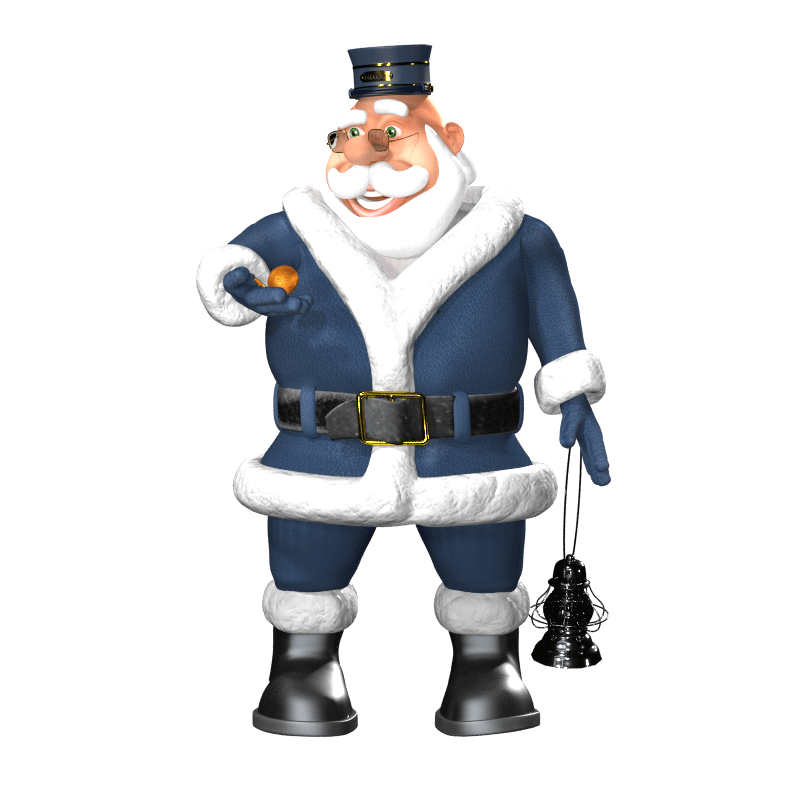 Dark blue themed Conductor Santa is always watching his watch, making sure the trains are running on time through Christmas Land. 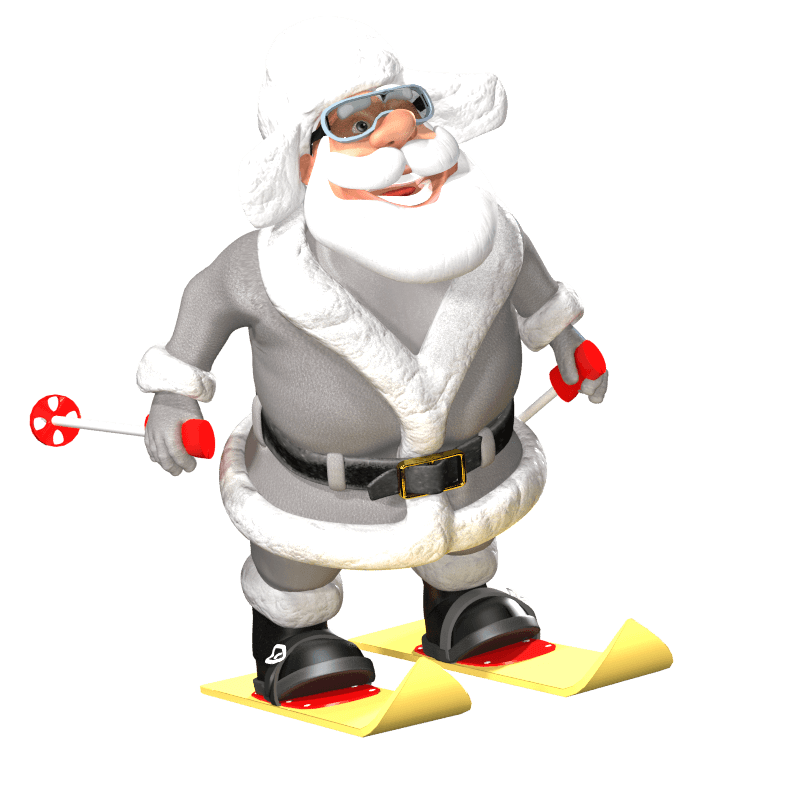 Light gray themed Ice Mountain Santa loves to visit the extra wintery Ice Mountain settlement in Christmas Land for some skiing and visiting the Ice Mountain elves..
Because you simply have to have a Steampunk Santa! 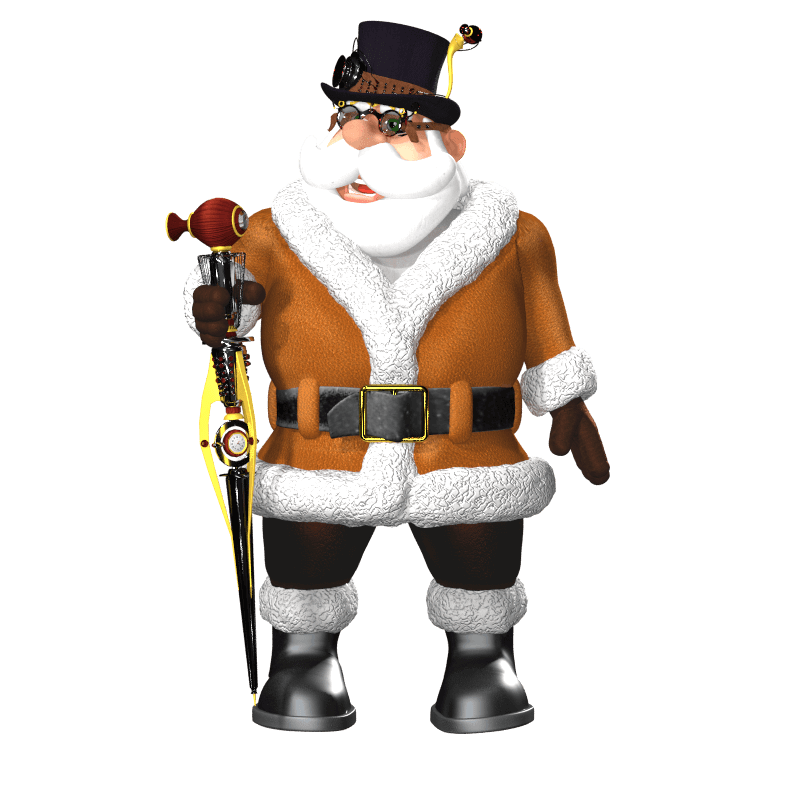 A disguise for Toon Santa, or so he thinks, by dressing up in Victorian era clothing! Someone's in the kitchen in the North Pole and it isn't Dinah! 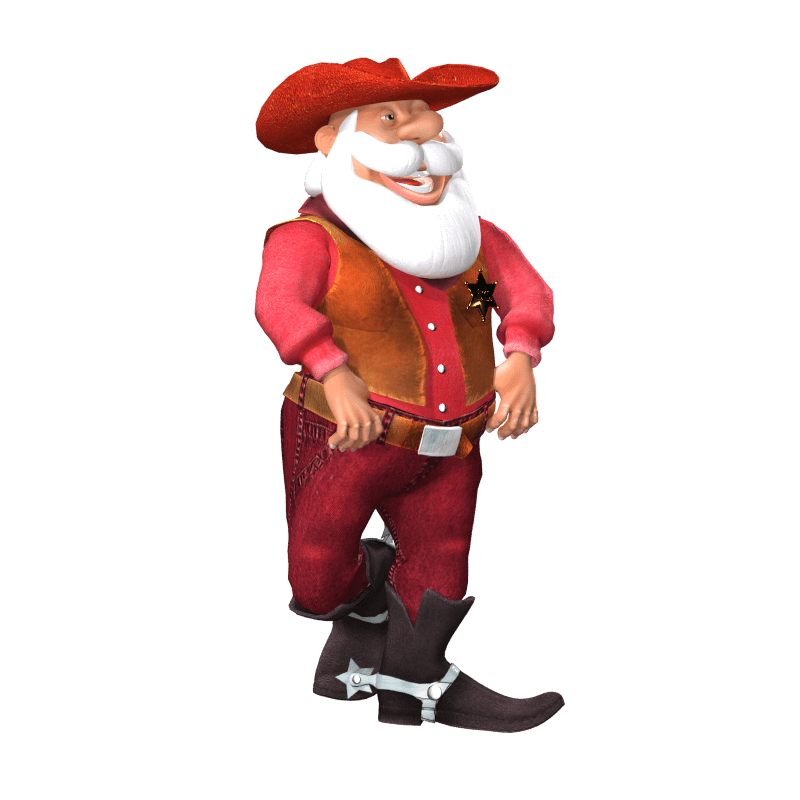 There is a new sheriff in town, and his name is Wild West Santa, 'mam. 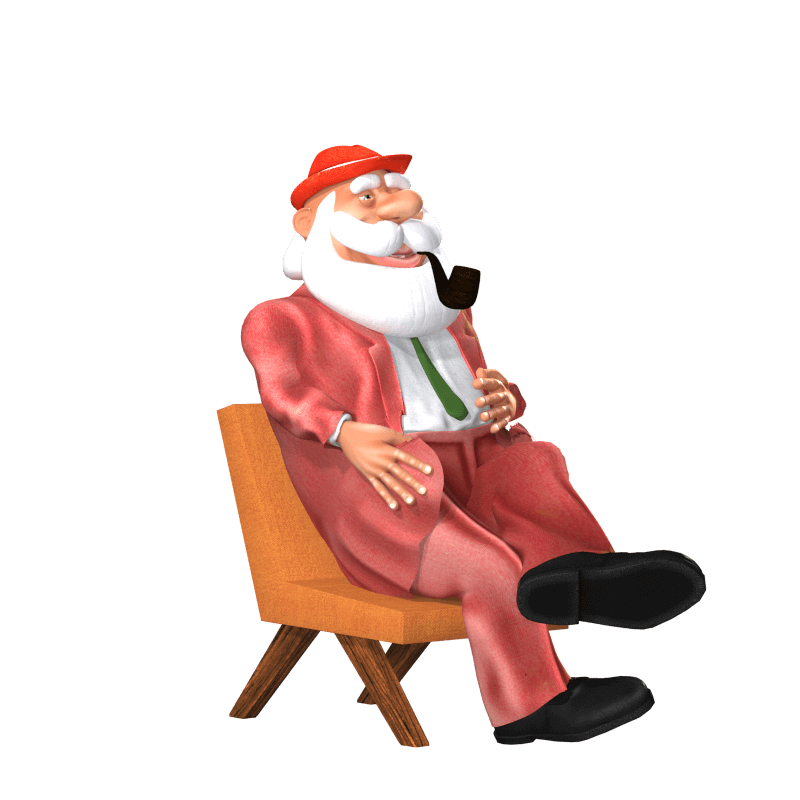 Demonstrating the googiest cool of the 1950s is Fedoraville Santa. 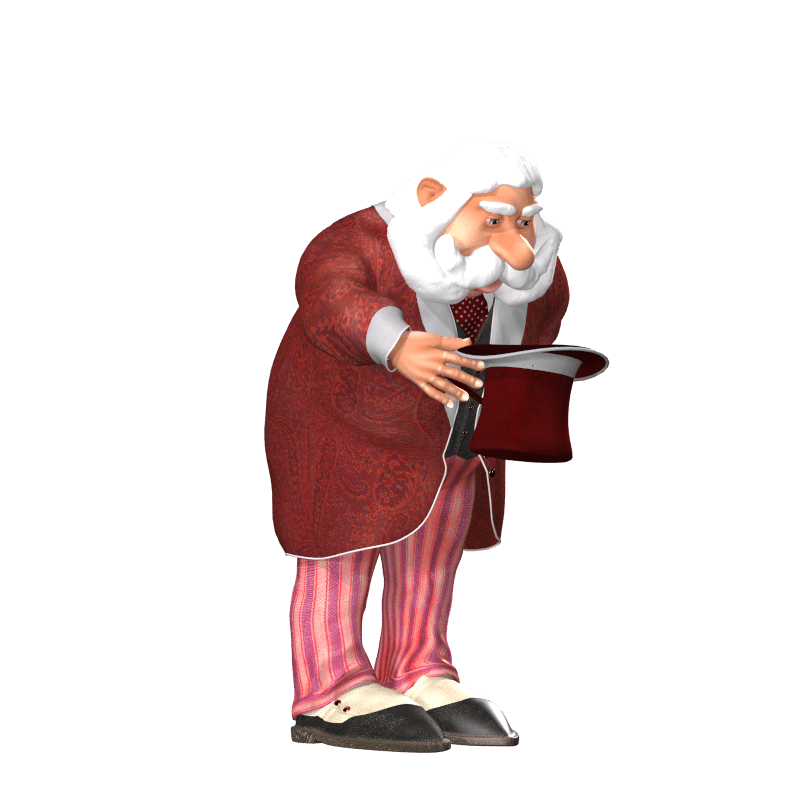 Before he was Santa Claus, he lived a life of adventure as Kris Kringle. 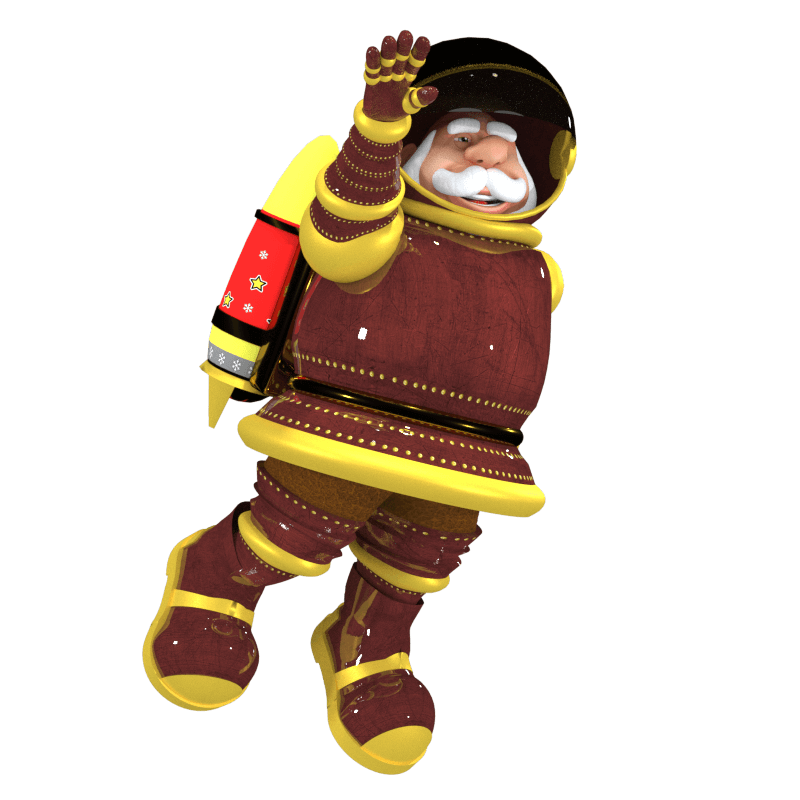 Saving the universe in time for Christmas with his rocket pack! 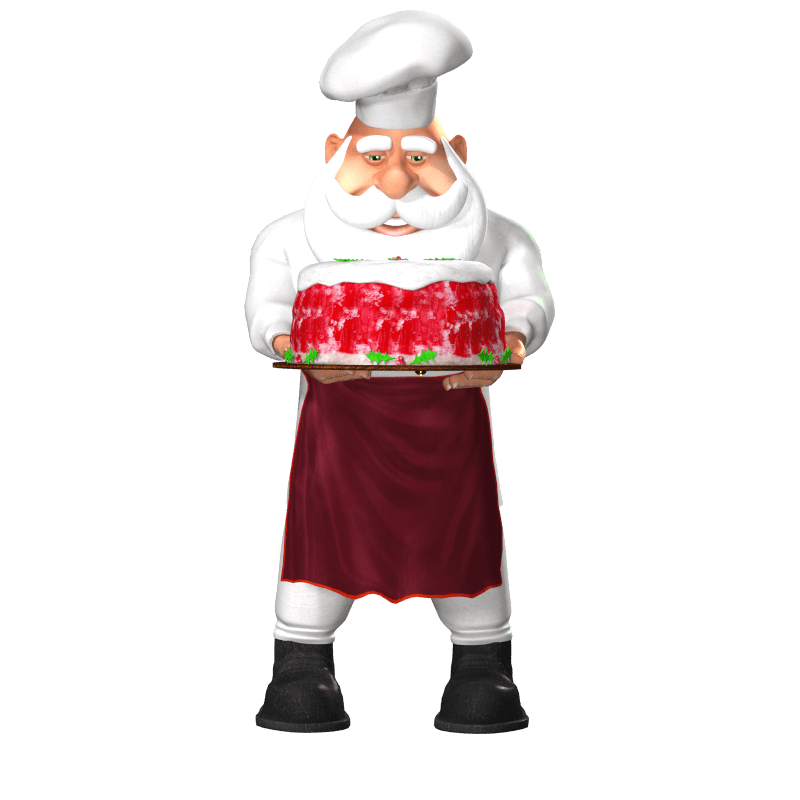 Making sure your mystery gifter gifts the right gift! Complete sets of clothing, fully textured and ready to render. Alternative hats, footwear, coats, gloves and more. 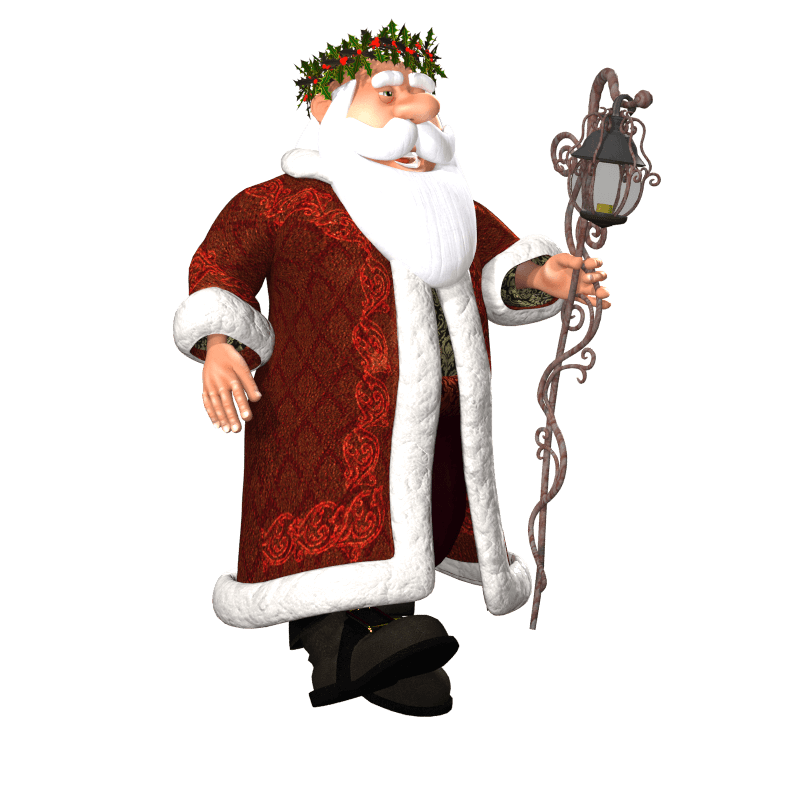 Each theme includes unique props that are usable with other versions of Toon Santa. 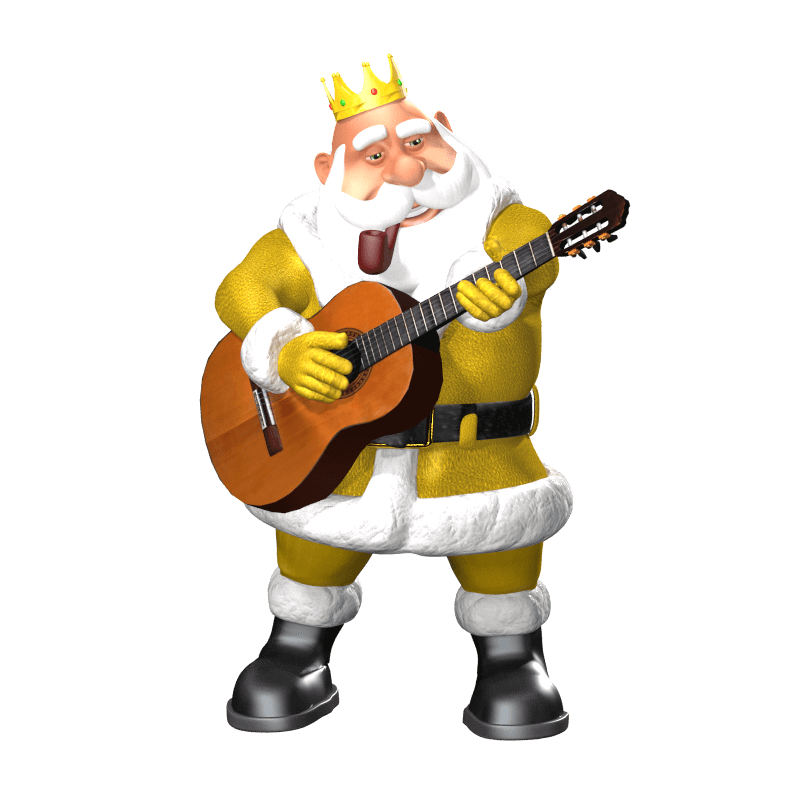 Have Steampunk Santa play the guitar! Each theme includes unique poses that match the theme, plus funny ones like Spocked! and Mexican Hat Dance.